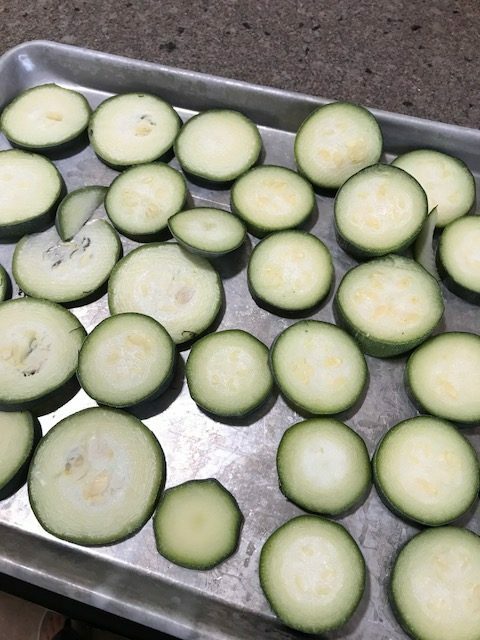 If you pick zucchini while it is relatively young, like these pictured were about 10 inches long and a couple of inches in diameter, you can slice them and flash freeze them on a cookie sheet and they work very well in smoothies. By “very well” I mean, you get veggies but you can’t taste them. Know what I mean? 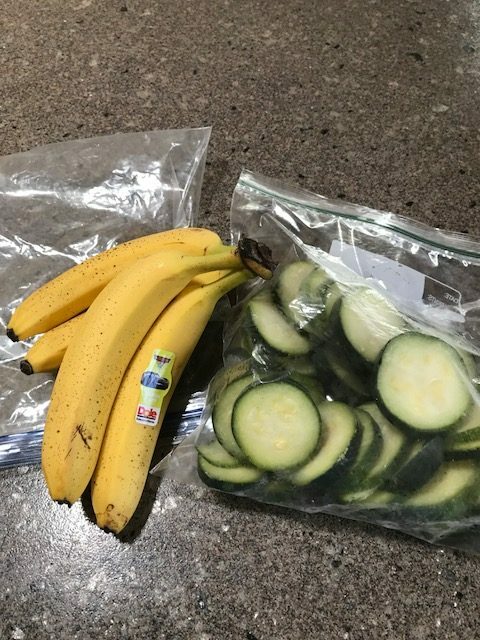 I also freeze bananas that are a little old, by just breaking them into a bag and putting them in the freezer. No need to flash freeze them because they are easy to break apart when they are frozen. I also freeze lemon juice (in ice cube trays, then transfer to a freezer bag), lemon zest, ginger, kale, spinach, peaches, berries, cherries, apricots, goat’s milk, and anything else I can get my hands on. We like to put yogurt in many of our smoothies to get the probiotics. And blueberries,and occasionally kiwi (all from freezer) are common additions in ours. I can’t wait to make this. Sounds delicious and we have MANY zucchinis to use.